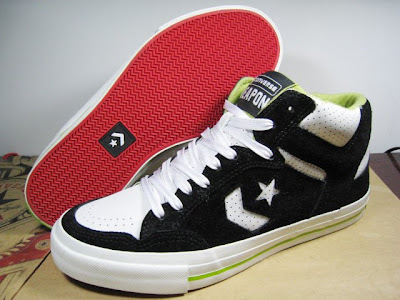 The Converse Blog: 'S Weapon Wednesday: Converse Weapon S Mid Black Flag. 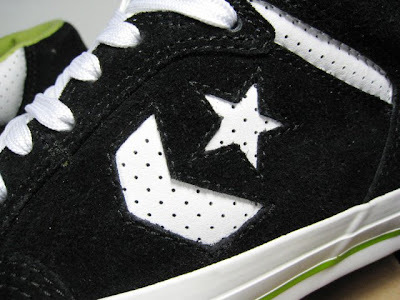 'S Weapon Wednesday: Converse Weapon S Mid Black Flag. 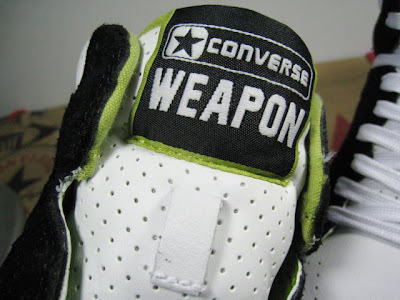 Welcome the the Converse Blog's Weapon Wednesday! Today we have the Weapon S Black Flag edition. 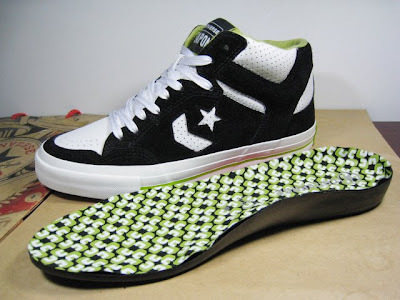 This is a sample pair of the shoe that is available now. 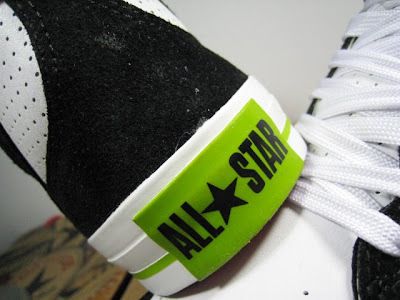 The only difference that I've seen between the sample and released version is that the out sole is green on the released version. Since I don't have any good pictures of the actual release we'll have to make it work with the sample pair picture below. 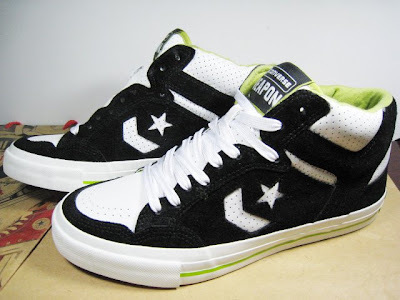 Some of the Weapon skate shoes that have released have had some pretty loud colorways, but I really like the amount of neon green used on these. It's just enough to add some spice without blinding people looking at it. 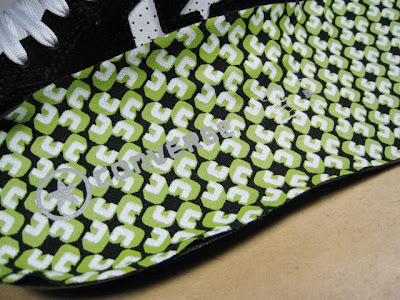 Head over the www.converseskateboarding.com to search for dealers of the CONS skate and Black Flag lines of shoes.